MUNICH, Germany (Reuters) - Europe's growing army of robot workers could be classed as »electronic persons« and their owners liable to paying social security for them if the European Union adopts a draft plan to address the realities of a new industrial revolution. Robots are being deployed in ever-greater numbers in factories and also taking on tasks such as personal care or surgery, raising fears over unemployment, wealth inequality and alienation. Their growing intelligence, pervasiveness and autonomy requires rethinking everything from taxation to legal liability, a draft European Parliament motion, dated May 31, suggests. Some robots are even taking on a human form. Visitors to the world's biggest travel show in March were greeted by a lifelike robot developed by Japan's Toshiba <6502.T> and were helped by another made by France's Aldebaran Robotics. However, Germany's VDMA, which represents companies such as automation giant Siemens and robot maker Kuka , says the proposals are too complicated and too early. German robotics and automation turnover rose 7 percent to 12.2 billion euros ($13.8 billion) last year and the country is keen to keep its edge in the latest industrial technology. Kuka is the target of a takeover bid by China's Midea <000333.SZ>. The draft motion called on the European Commission to consider »that at least the most sophisticated autonomous robots could be established as having the status of electronic persons with specific rights and obligations«. »We think it would be very bureaucratic and would stunt the development of robotics«,he told reporters at the Automatica robotics trade fair in Munich, while acknowledging that a legal framework for self-driving cars would be needed soon. The draft motion, drawn up by the European parliament's committee on legal affairs also said organizations should have to declare savings they made in social security contributions by using robotics instead of people, for tax purposes. Schwarzkopf said there was no proven correlation between increasing robot density and unemployment, pointing out that the number of employees in the German automotive industry rose by 13 percent between 2010 and 2015, while industrial robot stock in the industry rose 17 percent in the same period. Yes, you (**) are right. Good videos (**), and they are not too long and not too short. Well done. If one cell of a living being (or a human being as a cell of a super-organism) does not work rightly, then it will almost certainly not cause the death of that living being. But if the living being (like a super-organism) as a whole does not work rightly, then this living being as a whole will almost certainly die soon, so each cell of that living being (like each human being of a super-organism) too. If you asked a wolf whether it makes sense to have offspring and this wolf could speak, what would the wolf answer? If you asked a dog whether it makes sense to have offspring and this dog could speak, what would the dog answer? Copied part of a post in another thread. The church is a super-organism too, but if one compares it with the current super-organisms - one of them can buy and has bought almost all states of this planet - and take the money or monetary assets as a comparison, then one has to say: the church is merely a small super-organism. Do you believe in numbers? Do you belive in theories? Do you believe in words? Glozis look upon their parishioners as their flock or sheep to shepherds. They want their flock or sheep to be brainwashed and to eat all the poison (get more and more into illness) they have to buy (get more and more into debt). Those of the physicists I personally know want it (**) to be a true theorem. The hands and arms of that big brother (**) look a bit like the hands and arms of a man who suffers from gout. So you are saying that all Non-German people of the EU are too stupid, at least not intelligent enough to leave the EU. They have always had the option to leave the EU. Do you really not know why they have not been willing to leave the EU? The UK was totally down before it joined the EU. Guess why Heath wanted to join the EU at that bad time of the UK. But note: The british empire has failed. It should not repeat the same old error again and again and - if it does not know further - start wars again and again (it will lose them again and again). You (**) mean that they have no choice, because they - as all other US presidents before them - are the willing executors of the real rulers of this globe. Don't forget the EU (thus: Germany). The very rich people of the so-called upper-class can have tax havens in the same state too, so they do not pay any tax, whereas you and others (mostly of the so-called middle class) have to pay all or almost all taxes. So I am not allowed to ask you why you are so interested in rhizomes ...? We have only one root for the word religion, and this root is a Latin root. Yes, it is. Now the number of the views is 102507. England does not want the immigration, also and especially the Polish immigration. Scotland and Northern Ireland want to remain n the EU. So there is no Brexit but merely an Enexit. The question whether the universe just appeared or was made by a creator is very similar to the question whether nature is because of itself or because of god. This leads to the question whether god is what we call nature or nature is what we call god? The subject is called pantheism (**|**) with all its various modes. Sorry, I must have read it wrong. Now it says 102531. Religion (or the phenomenon wherefore that word is used) should not be underestimated. It seems to be everywhere - unfortunately or fortunately, whether one likes it or not. No. They know too little. They just want to know whether they have friends or not (cp. especially Facebook); they do not use the internet rightly and effectively as they could, if they were intelligent enough. But the intelligence of the average people of the world, their average IQ, has been sinking anyway; so the people of the world have been becoming more stupid, more dense. They merely know irrelevant things about other people. They do not use the internet effectively ... (see above). Except the front of the European males. The European males have become too weak; so they are currently not able to be extreme - unless their extreme weakness is meant. Later the Earth will perhaps get colder. Think, for example, of the possible collapse of the Gulf stream. Many people think that, yes. Yes - but not all. It makes a certain majority of the humans more stupid than this majority is anyway (see above). But the number of the Welsh and Cornish (I mean those who are really still Welsh and Cornish) can be neglected, because it is very tiny. For the same reason France could be called Britain too, namely because of the Bretons (I mean those who are really still Bretons). France has even more foreign people (although it has always tried to obliterate their identities) than Great Britain (this name is like a declaration of war). I recommend to use a different name, and even the name Great Island would be more correct than Great Britain. But what if Scotland and Northern ireland become independent from England? The internet is not the main cause, but the internet also effects a lot (nobody can seriously deny that), so it is a cause too, although not the main cause. Politics is also or should be also about the integration of the I and the we. In certain times religion and politics are not distinguishable. The people of the media - the mediots (from: die Medioten - Udo Lindenberg) - should be punished for their sins. God as a principle and as the one (the unmoved mover?) who caused the universe (**). Didn't you say in another thread that this has also to do with the impossibility? But this noise is not the subatomic particle (**) itself. Do you think that dominating banks is good or evil? If there is only one causer (this can be doubted), then it is the first mover, the unmoved mover, the causer of the universe. But you do not ask for the absolute main cause, do you? Without the human beings and especially without the occidental culture with its enormous technologies there would be no internet (yet). But who or/and what caused the human beings to be resp. to develop; and who or/and what caused the occidental culture to be resp. to develop? The latter can be explained by genetics, geographical aspects, especially environment (landscape etc.) and climate; but the former is one of the most interesting questions, especially for philosophers. The super-organisms, especially the huge banks and the huge corporations, are the real governments; so they also control every other politics and - of course - the media. In other words: the modern media is a huge propaganda machine of some super-organisms (which are owned by merely a few men). But what do you exactly mean when you say main cause (**) in this context? How is that posible? Is it a wonder? Yes. Therefore all this operations have to do with the infinitesimal calculus (inveted by Gottfried Wilhelm Leibniz). So James is right with his answer. And it was about 5:30 pm when I read that Jerkey edited his post. I have never seen that on ILP before. In addition: the serrver does not know when the next poster is going to post. The rule is that it is not possible to read that you edited your post when you did it before the next poster posted. I did not mean what the words mean but what you (see above) exactly mean by main cause in this context? What is the root cause according to you? Who is responsible in this context, for example? Yes, the ultimate unmoved mover is impossibility, aka »logical contradiction«. What does happen only happens because nothing else was possible. Motion (the physical universe) exists because nothing can be what it is and also remain as it is (because what it is, is the »affecting«). That impossibility »causes« the entire universe to be what it is. There is absolutely no choice (the supreme, immutable power). He simply means that the equation of 1 = 0,999... does at last not absolutely work: although the difference of both numbers becomes smaller and smaller, they can't become equal, because there remains always a rest, an infinite small rest but a rest. So this equation works mathematically, of course, but that does not mean that it also works logically, thus philosophically. It is a solution for mathematicians but not for philosophers. One can always say that there is a rest that denies the equation. This also indicates that mathematics and philosophy are two different disciplines, and history has shown that they have to be different disciplines. To start with? This thread consists of three pages resp. 66 posts. Who is paying for this? The German taxpayers - as always. What is the what (**), and who is the who (**) according to you? A fact is not merely a copy. A copy can be defect or faked ... and so on. Human beings are more free than all other living beings, but human beings are nevertheless not absolutely free, they are relatively free. Yes. How do you call the inhabitants of Brittany? I thought: Bretons? Is that not right? »I recommend to use a different name, and even the name Great Island would be more correct than Great Britain. But Britain is not the correct name. Again: A huge majority of the current inhabitants of what is called Great Britain are not Britains. Not all leave voters are racists, obviously; they are in the minority. But the very great majority of racists voted leave, obviously, and some of them seem to think that 52% of the country agrees with them. I agree. 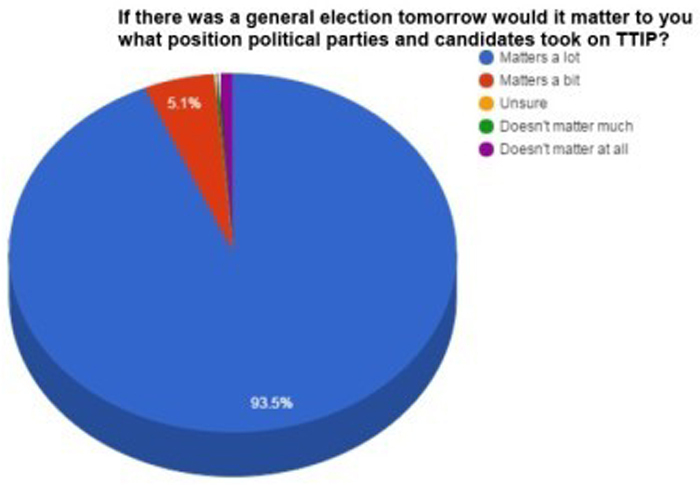 So I am - probably as well as you - not a fan of an autocratic system. If you had read Only Humean's and my posts before that said post, then you would have known the reasons for that post. Maybe we should continue with this issue in another thread, if you want to. Some humans of this whole world are thinking much nonsense (compare also some idotic, stupid, racist posts of some ILP members who are full of hate, envy, and resentment). 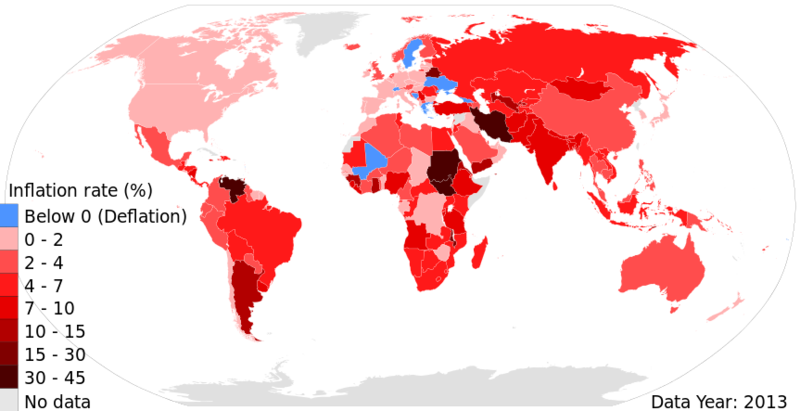 Your mentioned simple reason is in the mind of a majority of all Old European people (I mean the people of the so-called EU-15, thus the EU before May 2004, before the East-expansion). Europe has become too different and thus too problematic because of the East-extension. This was foreseeable because of the European history. But extension is something that no super-organism (the EU is such a super-organism) can really refuse - politicians belittle this by using the word practical constraint (Sachzwang). So the EU has got a problem which has to do with overstretching. It has been overstretched since the Euro and the East-expansion. At the latest. You see: I am also not a friend of an autocratic system. This is one of my main reasons for many of my threads and posts in the subforum SGE (compare there, especially the thread Will there be war before 2050 [**|**]). Currently I do not see a solution (except a cataclysmic one, but that is not the one I really want to become a fact). According to Peter Sloterdijk religions are misunderstood spiritual exercise systems. Cancer (**) is a hard word, but the internet is indeed something like an illness of an old culture that seems to be written in its cultural-genetic code. And I know where you are coming from, Jerkey. If all governing people (the public and the hidden ones) and all other people who are more than the average people are nihilistic resp cynic, what can most of the average people and most of those who are less than the average people do except being nihlisic and cynic too? They just copy them - more or less. Resistance is something for a minority - as always. Do not forget the Saxons and the Frisians resp. the Jutes (some historians say that the Frisians (Frisii), other historians, especially the language historians, say that the Jutes were the third Germanic tribe that conquered Britannia). So it could be called Great Anglo-Saxonia or Great Anglo-Saxony. So it is very probable that Scotland has still an interest in becoming independent from England. And now remember that the Scottish independence referendum took place on 18 September 2014, and immediately after the vote for the so-called Brexit the Scottish said that they wanted to have a new independence referendum. Additionally the Northern Irish, especially the people of the Sinn Fein party, said at the same time that they wanted to reunify with the independent Irish again. So there are two regions of the UK that try to make use of the Brexit just the other way around, because they stay in the EU, if this two independencies become a fact. In my world there are two different kinds of nihilists, government nihilists and anarchist nihilists such as myself. The government nihilists have more power - that is all. It is not a question of the intelligence in this case, because the almost powerless people have more intelligent people than the powerful people, not only because of the fact that the almost powerless people are 99 times more than the powerful people. Even the most intelligent 1% of the 99% who are almost powerless are averagely more intelligent than the 1% who are powerful. It really is a question of power. If you have power, than you do not need to be very intelligent, an average intelligence is enough, the rest is a question of power itself and that you are capable of keeping it (and for this capability an average intelligence is sufficient). Martin Luther was a very intelligent person. (By the way: I am not Protestant but Catholic.) Now the average global intelligence is shrinking. Thus: such an intelligent reformation or even another reformation will probably not take place in the near future or in the future at all. Individualism has to do (although not only) with intelligence, intellectualism in the right sense. This means that we are facing an authoritarian social form of anti-individualism, anti-intelligence, and anti-intellectualism. Unfortunately. They will preach the we more than the I. The we is important, yes, but the I is important as well. 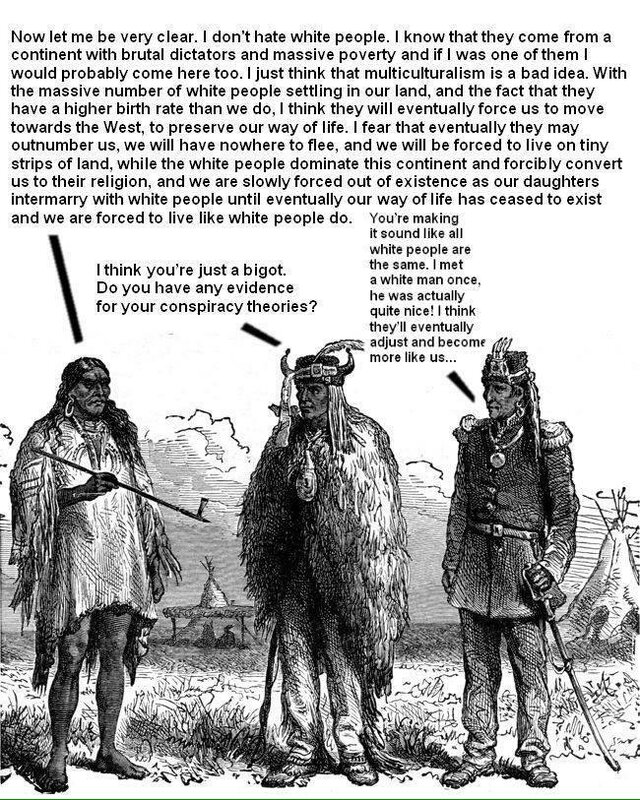 Here's a depiction of a conservative and two progressive American Indians, or Native Americans as they call them in the tongue of the progressives. Do I understand you (**) rightly when I say that you are speaking for doing nothing? I'm neither a conservative or neo-liberal as an anarchist. I find this whole left, right twattle to be irrelevant of actual issues within society especially under the control of a government state. What I was talking about is economic prosperity for a greater majority of the population something of which the United States hasn't experienced since the early 1970's. At present there is hardly a middle class left where there is only the very rich and the very poor. Once more the biggest joke of this nation is that we still view ourselves as a bastion of freedom, independence, and economic prosperity. It has all become one big giant con built only for the most stupid to believe in. In terms of democracy like all democracies everywhere it is rigged politically and by special interests. Yes, and both are private companies / corporations and have been dominating the states, the governments, and all people of the US since 1913 (at the latest). These and other globalists are the real rulers and thus most responsible for all the wars and other catastrophes (including the demographic and economic ones), thus also for the fact that the middle class has almost vanished in the US - the globalists become richer and richer and all the other 99% become poorer and poorer. Europe has the lowest inflation. Economically, inflation means a sustained increase in the general price level of goods and services in an economy over a period of time. Inflation reflects a reduction in the purchasing power per unit of money. Your body, for example, is exclusively your body, isn't it? Another example: If you are the leader or an inventor of a certain group, then your I is and has to be a bit more important than the we, because your skills are a bit more based on your genetic I than on the social we (the group), and the group has to and usually does accept that you are one of those whose I is more important than the group itself (the we). In other words: A group (regardless which one) needs leading I's, inventing I's, ... and so on. But there are also examples that show us that the we is more important than the I. If you are, for example, a part of a super-organism, then your I is less important than the we (the super-organism). But from the point of view of the super-organism like the church or Goldman Sachs the we is perhaps more the I than the we again. We have to decide from what point of view we are linguistically and philosophically judging - for example: more like Max Stirner (I) or more like Karl Marx (we). So you are saying that your body is the body of your parents? It is even probable that those who claim that they are not conservative are more religious (because of their ideologies and ideological exercises) than those who claim to be conservative. Of course they are targeted disproportionately by the police. The commit disproportionately more of the crime. Blacks are much more likely to murder people of other races, to murder cops, and to murder each other than any other race in the U.S. In fact, black police officers are more likely to shoot at black people than white police officers are. Blacks only seem to be disproportionately targeted if you completely ignore how much crime they commit. Liberalism seems to be a typically occidental disease, at least a kind of dementia of the occidental culture. The humanity, the horde, does not always do only what it wanted. But since the globalism has become the winner, the nationalism is out and thus not as dangerous anymore as it once was. Globalism is far more dangerous than nationalism. Make America strong means make the globalists richer and thus more powerful (the globalists are not Americans but merely globalists). I asked first. So please answer my question before I answer your question. Yes, as you know from some of my other posts that I am saying almost the same. The Greek-Roman culture collapsed after it has become a civilization in a Spenglerian sense (perhaps you remember what Spengler wrote in his main work). Long before that collapse the same happened, for example, in Egypt, much later also in the region of the Mayas, for example. »The culture will change as long as humans change. Humans change as long as they are alive. He does not know much about history. Yes, of course. But transhumanism is not needed when it comes to the end of history. As I view it the last man is one that has all of his humanity, freedom, independence, and individuality stripped from him within the oppressive artificial confines of civilization overtime. He does not know what that means, and he also does not know much aboout history. And, by the way, what he and many others also don't know is the fact that there is a difference between evolution and history. So again: I am talking about the end of history not about the end of evolution. The Last Man is indeed an example of a man after history, but he is not an example of a man after human evolution (this would be a contradiction). Androids are no humans but will probably replace all humans (**|**), thus will bring the end of the human evolution. Quod erat demonstrandum (**). You do not know what you are talking about. You are the one who never took a statistic class. And you are the one who is stereotyping. You are also the one who has no interest in seeing reality, because you are not capable of seeing reality. And of course: You are the one who wants to scapegoat people for the sake of your own ignorance and ego. Being an anti-white racist does not make you a better human but merely a politically correct racist, thus an obeying coward racist. No. At least not precisely enough. Danke für Ihren Eintrag (**), Herr S. (**). Ich habe Ihnen bereits eine Email zukommen lassen. Warum haben Sie dafür Archive.org in Anspruch genommen? Sie hätten doch meine Kult-Uhr-Seite (**) auch direkt als Kopie speichern können. Danke. Das freut mich besonders deswegen, weil Sie mit diesem Satz so etwas wie eine Wahlverwandtschaft (Goethe) durchblicken lassen, ein seelisch-geistiger Bruder zu sein scheinen. Menschen sind im Vergleich zu anderen Lebewesen Luxuswesen (Verwöhnungstiere), weshalb ich es aus erkenntnistheoretischen Gründen für sehr wichtig erachte, innerhalb der Biologie dem Menschen eine Sonderbehandlung zukommen zu lassen, die den Namen Anthropologie mehr als verdient hat. Sloterdijk ist in Glaubensangelegenheiten voll und ganz im Sinne Luthers erzogen worden, wie er selber sagt. Jedenfalls scheint sein Hinweis auf den Ablaßverkauf auch damit zu tun zu haben. Danke. Ja. Ich möchte es an dieser Stelle jedoch nicht versäumen, auf meine ebenso ausgeprägte naturwissenschaftliche und naturphilosophische Neigung hinzuweisen. Sie finden innerhalb meines Webangebotes nämlich auch sehr interessante Beiträge zur Naturwissenschaft und zur Naturphilosophie. Können Sie sein Modell für Marktvorhersagen und - vor allem - seine Meinung über den Kollaps des römischen Geldsystems beschreiben? H.S. : Im Lichte all dessen und meiner Biografie, die ich jedoch hier öffentlich nicht ausbreiten will, noch ein paar passagere Anmerkungen zu Seiten von Ihnen, die ich bisher gelesen habe. Demografie und Wirtschaft (**), und Historische Konstanten (**). Danke. Gerade aus wirtschafts- und kulturgeschichtlicher Sicht ist eine solche Betrachtungsweise sehr sinnvoll. Ich habe übrigens auf einer meiner Seiten, die ich Kommentar zu Mersch (**) genannt habe, mir die Bemerkung erlaubt, daß Mersch diese Ableitungen gar nicht hätte vornehmen müssen, weil seine Theorie ohne sie auskommen kann. Trotzdem halte ich ihn für einen sehr guten Wirtschaftstheoretiker, auch und vor allem deshalb, weil er ein ausgezeichneter Mathematiker ist, was dafür spricht, daß er zumindest ein in mathematisch ausgezeichneter Logiker ist, denn die Mathematik ist ja ein Teilgebiet der Logik. Ich bin bei ihm, wenn es darum geht, zu sagen, daß Darwins natürliche Selektion und ihre Prinzipien falsch sind, jedenfalls dann, wenn sie auf Menschen angewendet werden. Die Aufregung darüber seitens der Darwin-Lobby ist scheinheilig und zeugt von religiösem Dogmatismus, außerdem widerspricht sie eindeutig einer anderen Lobby, die uns ständig durch Zensur so etwas wie Politkorrektheit einhämmern will, wozu selbstverständlich auch Anti-Faschismus (Stichwort; Antifa), Anti-Nationalsozialismus, also auch Anti-Sozialdarwinismus gehören und deswegen aber auch Anti-Darwinismus gehören müßte (! ), denn der Darwinismus ist ja seit seinem Anfang auch Sozialdarwinismus (!). Auch Darwinisten geht es nicht um Wissenschaft, nicht um Erkenntnis, nicht um Wahrheit, sondern um Kompetenzerhalt, um Interessen, um Macht. Geht man davon aus, daß Lebewesen autopoietische, selbsterhaltende Systeme sind, dann sollte man auch die jeweils größeren und größten solcher Systeme so bezeichnen. Mit anderen Worten: Eine Zelle in einem Organismus dient ihm nicht einfach nur, weil er eine Ansammlung von Zellen ist, sondern auch und besonders, weil er ein Selbsterhaltungssystem ist, und zwar auf einer höheren Ebene als der der Zelle selbst. Ähnlich zu deuten ist dies, wenn ein Mensch in einem großen Unternhemen (wie z.B. Siemens) - als eine Zelle dieses großen Unternehmens sozusagen - zu dessen Selbsterhaltung beiträgt. Richtig. Außerdem wären hier z.B. zu nennen: Staaten, Organisationssysteme wie die EU, die UNO usw..
Herwig Birg wird hier aber nur diejenigen Menschen gemeint haben, auf die eben diese Anforderungen zutreffen: die Leistungsträger, wie ich sie nenne (Peter Sloterdijk übrigens auch). Die meisten Menschen sind aber keine Leistungsträger. Die Leistungsträger - und nur sie - werden ausgebeutet. Schichtenspezifisch gesagt: Die Mittelschicht - und nur sie - wird ausgebeutet. Man kann staatlicherseits aber zumindest etwas gegen diese Reproduktionskrise tun, ohne gleich eine Katastrophe zu bewirken. Augustus hatte nicht viel, aber immerhin doch ein wenig Erfolg damit, allerdings auch nur einen kurzfristigen. Keiner seiner Nachfolger knüpfte daran mehr an. Woher haben Sie die Information oder Interpretation, daß Bolz eine DDR 2.0 in Betracht zieht? Die Grenzen waren ja bis vor dem Höhepunkt der islamischen Ein- und Überfälle schon lange nicht mehr existent. Man kann nur hoffen, daß endlich aus den katastrophischen Fehlern gelernt werden darf, kann und wird. Es sind auch für die Jungen in Deutschland nicht weniger, sondern mehr Arbeitsstellen als in anderen vergleichbaren Ländern vorhanden. Der Grund für gewisse Miseren ist der Sozialismus, der sich auf Kosten der Leistungsträger auf unmoralischste Weise immer wieder erzwungen wird. Richtig. Zur Mittelklasse siehe oben: Mittelschicht. Adenauer hätte Schreibers Plan (**) von 1955, den Drei-Generationen-Vertrag (**), politisch umsetzen müssen statt zwei Jahre später den Zwei-Generationen-Vertrag aus Gründen der anstehenden Bundestagswahlen mit der Begründung Kinder haben die Leute sowieso durchzuboxen. Ja, aber die Kinderlosen genießen derzeit noch den Vorteil, den wiederum der Staat verschuldet hat. Wir stecken in einer demographisch-ökonomischen Falle, die man auch das demographisch-ökonomische Paradoxon nennt. Je mehr Kinder Menschen sich leisten können, desto weniger haben sie - und umgekehrt: Je weniger Kinder Menschen sich leisten können, desto mehr haben sie (dies allerdings nur dann, wenn die Leistungsträger dies bezahlen, wie es bei uns der Fall ist). Die Produktivsten sind am unreproduktivsten, während die Reproduktivsten am unproduktivsten sind. Dies führt zu einer Rationalitätenfalle, die noch folgenreicher ist, als es die der Tragik der Allmende ohnehin schon ist, weil die Kollektivrationalität und die Individualrationalität im Konflikt miteinander sind. Hierbei mischt jeweils auch der Staat mit, indem er - die Regeln der Generationengerechtigkeit (**) verletzend - auf sozialistische und also letztlich korrupte Weise die eine Seite unterstützt und die andere auf ungerechte Weise zur Kasse bittet. Den Preis zahlen nämlich wiederum die Leistungsträger, sprich: die Mittelschicht. Merschs Familienmanager-Konzept ist dennoch realistisch, wenn man davon ausgeht, daß unsere westliche Gesellschaft ihren Individualismus, ihren Feminismus und Genderismus, ihren Sozialismus und Soziologismus, ihren Globalismus und Universalismus nicht aufgeben will. Die abendländische Kultur ist eben dekadent. You do not have to apologize, my friend, Everything is fine. When I used the preposition he, I did not mean you. I only meant you, when I used the preposition you. I was talking to you by using the correct prepositons. I was merely talking about the necessity of the differentiation between the human nature and the human culture (including civilization) and between evolution and history. For example: decadence, the last men. You merely have to look around you and think about it a bit. And you will come to the right conclusion that there is a lot of decadence around you and probably also inside of you and that the people are almost willing to be the last men. I find that this can be diagnosed. I also refer to the opening post of this thread (**|**) and to what Ernst Nolte said in his book Historische Existenz (Historical Existence) about the historical existentials (**|**), because they must have vanished, if history has come to its end. Yes, the complete automation of society or civilization technologically would effectively end human evolution in terms of maladaptability. We already see the beginnings and emergence of this existential maladaptability within our societies currently. 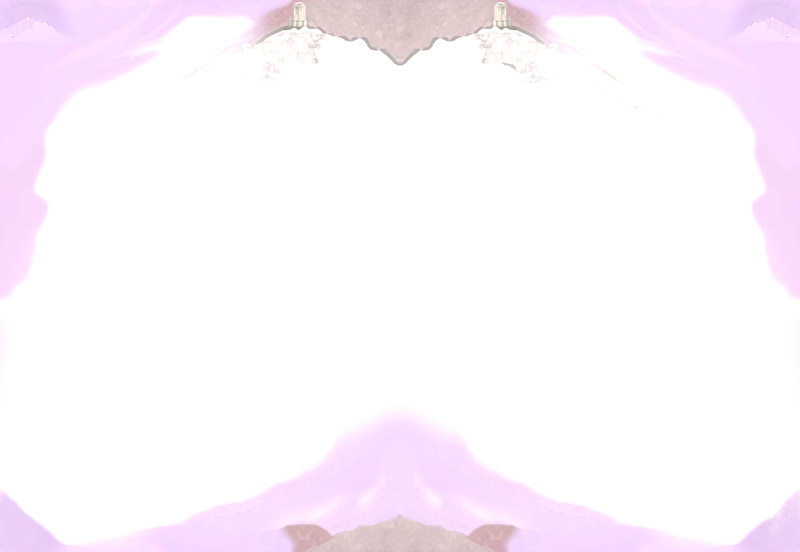 This is a direct result of creating an artificially enclosed reality amongst ourselves culturally away from nature. We can say that an »authentic human life« means a »life according to the human's nature«, whereas an »unauthentic life« means a »life according to the human's culture/s«. In other words: Humans need their culture/s to not live according to their nature and need their nature to not live according to their culture/s. Culture is the successful or/and unsuccessful implementation of the trial to escape from nature. Ultimately the future for me concerning our species will be disastrous or catastrophic from all of this. Learning by experiencing a catastrophe is one of the most effective kinds of learning, because this means an effect where human nature and human culture are again very close to each other at this moment of experiencing a catastrophe. I can guarantee you, that, genetically resp. biologically, the birth of the I is the fertilization. The reason for your dasein is the misery of other people. You live from the misery of other people. The misery of other people is the only thing that can and has to make you powerful. Shame on you. Have you ever worked in the sense of a real achievement? Factually you have no single argument but a lot of prejudgments. Most of what you are telling is nonsense. As I said: You do not know what you are talking about. But that (**) is not what pantheism means. Pantheism means, for example, that nature could be or is God resp. that God could be or is nature. Either God or nature is reserved. It does. Note that I said: genetically resp. biologically (**|**). The Euro on the Brink of Disaster. We are looking at the collapse of Europe unfold much faster than anyone suspected. I have been warning that the Continental EU banks are in serious trouble. The negative interest rates have devastated Europe. While trying to stimulate borrowers who are not interested without an opportunity to make money, the ECB has wiped out savers, pensions, and sent cash into hiding contracting the European economy  not stimulating it. I have also warned that it is the EURO which is in serious trouble and that BREXIT was the only way to save Britain from being dragged down under as the Euro sinks. The Italian banks are collapsing and the crisis is now risking bringing down the Italian government. If they do not bailout the banks, the people will be in revolution. If they bailout the banks, they can only print Euros. The is starting to illustrate what I have been warning about. The EURO is in effect like a gold standard. When crisis hit, everyone had to suspend the gold standard for World Wars I and II and then upon the fall of Bretton Woods. The currencies were tied to gold which they could not increase its supply. This is the same crisis now with the EURO. Despite the EURO is really just electronic/paper, its quantity is still fixed by the EU membership. No single member state can just increase its supply unilaterally. That would be like trying to maintain a gold standard and one nation revalued its gold to three times that of what everyone else uses. That becomes impossible. The Silver Democrats nearly caused the bankruptcy of the USA for overvaluing silver relative to the world in the 19th century. This is why the euro CANNOT SURVIVE. You have sovereign states with their own crisis and that demand measures separate and distinct from other members. This is how the euro system will break. It is extremely urgent that you understand the crisis ahead. This is what will send capital fleeing into the dollar. True, some will buy gold. That is generally retail investors. Pension funds and institutional investors will buy US government bonds, dollars and park them at the Fed, or jump in with both feet into the US stock market. There is not such a struggle of hegemony and not such a hard wired consciousness (**). By the way only one example of many others: What do you think about the so-called Vietnam War (the correct name is US War again)? Did the US start this war in your opinion? Like I said: genetically resp. biologically (**|**|**|**). Yes. I was not talking about my belief but about the definition of pantheism (**|**). So I was referring to, for example, Baruch Spinoza (cp. Deus sive natura) and other philosophers, for example some of the German Idealists and Romantics. Your genetic code and program is your genetic code and program and only your genetic code and program. No. I am saying the genetic code is your genetic code, and you are saying your genetic code is the code of your parents, and that is false, because your parents have two different genetic codes, and your genetic code is even then your genetic code (namely because of the recombination), if your parents were twins. Genetically (biologically) there is indeed individuality. When the fertilization has happened, then the recombination takes place, and the result is never the same result that your parents got at their fertilizations. Your genetic code is indeed inidividual. Each genetic code is an indivdual one. That is what I am saying, and it is true. When you say to an geneticist (biologist) that your genetic code is not yours but that of your parents, then they will laugh at you. A recombined genetic code has it roots in two other genetic codes, that is right, but that does not mean that it is the same genetic code. It is a different one. You are confusing genetics/biology with sociology/psychology. Evolution is based on variation (mutation included), reproduction, and reproduction interest (formerly known as selection). No genetic code is the gentic code of the parents, othrwise there would be no eveolution. The French started the so-called Indochina War (the correct name is French War again), but the other war, the war of the US in Vietnam was a different one, because it was a war of the US interest and not of the French interest who had already lost this war (they lost almost all wars). The US were the aggressor and started their war. It is easy to find a scapegoat. But when you look at, for example, the First World War, then you will not find one causer but merely many causers on both sides. Those who are blamed by victor's justice are often innocent. But in the case of the US wars the US were the aggressor, faked, and started their wars. So they are to blame, they are not innocent, but they were not occupied, so that nobody could tell them by victor's justice that they and only they are to blame. For the US it is time to become self-critical finally. The Holy Roman Empire of German Nation existed for more than 1000 years. Almost all of them were German countries. Vienna was the capital when the Habsburgs ruled the Reich. There were many capitals. And in the beginning of this Reich the capitals even changed, because the Kaiser travelled through his country (so the Saxon, the Frankish-Salian, and the Staufian Kaiser, for example). No. It was more than that. It was in the interest of the US and their money givers. Again: It was more than filling a vacuum. This war was an US war, because it was in the interest of the US and their money givers. Europe has no chance to come together, if the poblems I was talking about (**|**|**|**) are not solved. Again: The Holy Roman Empire of German Nation existed for more than 1000 years. No other political entity has reached such a great age - except the unholy Imperium Romanum that has reached the same age. That is nonsense and not what I was talking about. Do you not know what recombination means? Each genetic code and thus each genetic program is an individual one. That does not contradict the fact that the roots are the genetic codes of your parents. So they have to do with your genetic code, of course, but they are not the same. Why is that so difficult to understand for you? Homosapiens are animals just more delusional, inventive, and innovative kind of animal. I guess you know that Thomas Hobbes wrote his book Leviathan or the Matter, Form and Authority of Government (1651) because of the experiences with the terrible civil war in England. So you have misunderstood me, Ierrellus. It seems that you do not know what the genetic recombination means. We all have parents - father and mother -, and their genetic codes influence our genetic codes, but that does not mean that they are the same. And if something is not the same, then it is different, regardless how much, it is different. Our genetic codes are different from the genetic codes of our parents because of the genetic recombination. We are kin to our parents, and even more to our siblings, but we are not them. Another good example is the German Hanse (Hansa), the Hanseatic League inside (and later also outside) the Holy Roman Empire of German Nation. Hanse (Hansa) was the Middle Low German word for a convoy, and this word was applied to bands of merchants traveling between the Hanseatic cities whether by land or by sea. Hanse means a union of towns (hanse towns) that started in Lübeck (North Germany).It was very successful, and only the discovery of America could gradually stop it. 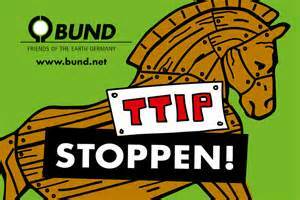 We do not want TTIP ! You are merely describing yourself, One Liner (**). Genetics is not ideology, but your brain is full of ideology or at least full of misunderstandings and misinterpretations and certainly because of your ideology. I did not say that the I was free from outside control and not a subject to another's authority and/or doesn't depend on another for livelihood or sustenance. That is merely your false interpretation of something that I never said. I am saying that we have to distinguish genetics/biology from sociology/psychology and almost all other realms. Those who do not do this are almost always ideologs. If you and the other ideologs were right, then there would be no I, no evolution of life, thus also no history. I and we are never the same. Only communists and other leftish ideologs are preaching such a nonsense. It is not only linguistically but also genetically/biologically right to differentiate between I and we. What about US, Russia, China versus EU(rope)? And the main battlefield could be Europe. Where exactly do you (**) live now? 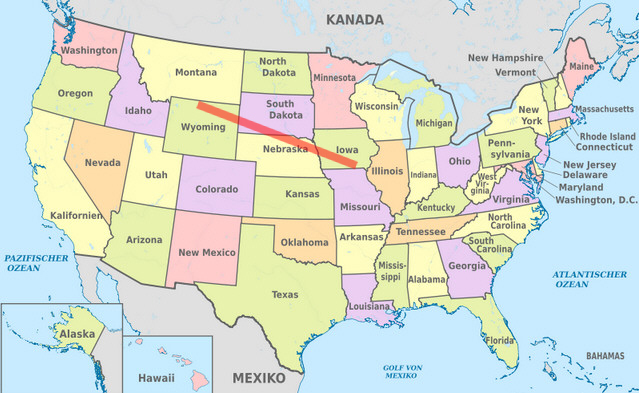 I know that it is in the North of the US. What kind of moving is it? I define a religion a little differently. A religion, to be not merely a philosophy, must sustain dogma - assertions to believe without evidence or question. Science has become that in the West at least even though originally it was a more simple philosophy. Originally, Science got its footing and definition through independent empirical demonstration. The fact that it was independent allowed for it to not be a dogma because anyone with sufficient skills could question any part of it and discover for themselves. Of course, very many question were not answered. And today many questions are not answered, but not because they can't be, but rather because they are not allowed to be answered. Today, the level of skill requirement is surpassed by the requirement of equipment, supplies, and money. Due to the such requirements, what is accomplished as science is now dictated, not discovered. Fortunately there is still the issue of Logic restricting what can be dictated else there would be absolutely nothing to restrain science from declaring absolute godhood in dictating anything they chose for it to dictate. You have misunderstood me or do not know what an I, an individual person, is. I am not. I am I. You are also an I, unless you are not a living being. A living being is one living being. A = one. The child in a womb, regardless whether this child is a zygote, an embryo, or a fetus, is an I, a living being, one living being. This child and the mother are two different organisms, two different living systems, two different living beings. If, for example, the blood of the mother comes in direct contact with the blood of the child in her womb, then there is a very high probability that the child or the mother or both will die because of that fact. How we know this? We know this because of medicine/biology/genetics. If we want to talk about environmental influences, then we have to leave the I, because we have to know what the environment is and does and how it influences the I. Then we can also use all the other prepositions. And then we can also talk about ecology, economy, sociology, psychology ... and so on. It is no linguistical accident that we have the prepoition I and call it the first person. That there is something in our body that says I is also no accident. So it would not be a mistake to philosophically talk about an I too, and the history of philosophy has clearly shown that the I is not only a matter of linguistics and biology/genetics/medicine but also of philosophy. It is just logical. Here you are talking about heredity (inheritance), Ierrellus, and it is right: all living beings inherit. So it is also right that environment alone does not explain our similarity. But note that I did not deny this, and I would never deny this. But what you and some others are saying or at least implicitly saying is that there is no I , and that is not true. Martin Luther appealed to the I. The belief or faith should be a thing of the I and no longer of the we, namely the church that exploited its believers, for example by indulgence, thus payments! I love Vienna. Wien, mein Wien. 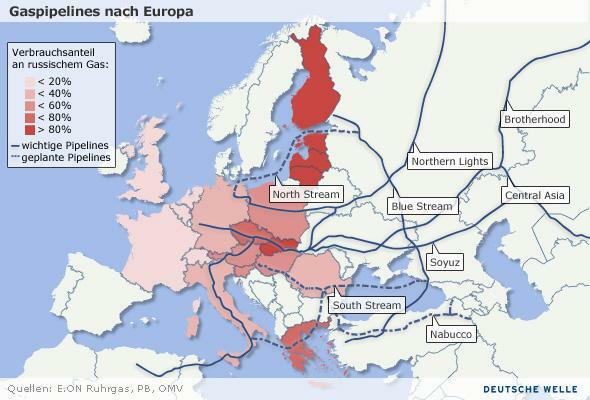 It is a pure struggle for power around gas pipelines to Europe. This gas pipeline politics is primarily directed against Russia. .... Do you smell the coming war? Yes, they do not make much sense (**). 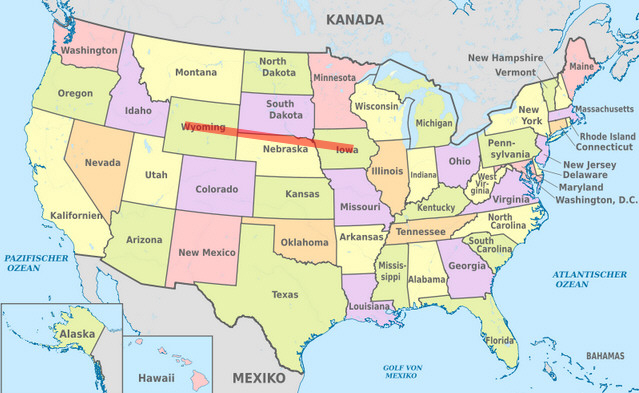 So you (**) mean the travel route from North Wyoming to South Iowa. Why do you (**) want to have your world order? What is your justification or rationale? Try to reason / justify your statement (**). Probably. However. It leads to a relatively strong uniformity. 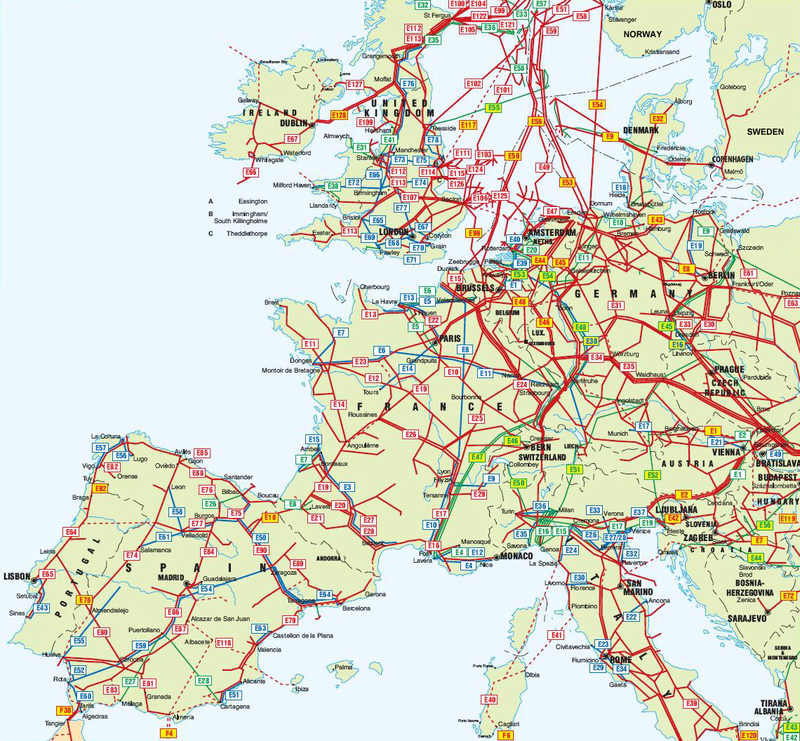 The following map shows pipelines in Europe, including cross-border, international pipelines which originate or end in European countries. 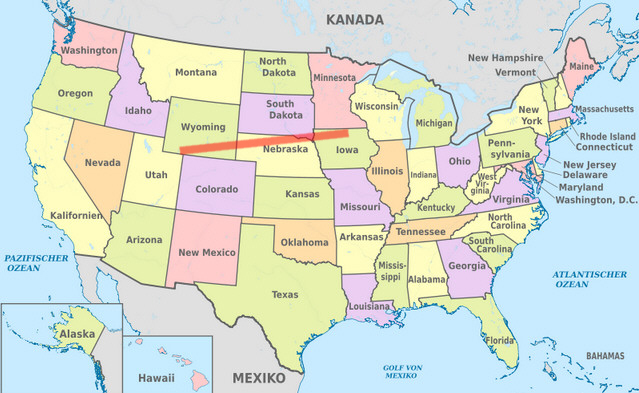 You can click the map to see an enlarged version. On the map and table, pipeline label codes are colored green for oil, red for gas and blue for products, such as gasoline and ethylene. The diameter, length and capacity of the pipelines, if known, are shown on the tables. Do you want to maintain humanity under 500,000,000 in perpetual balance with nature? Do you want to guide reproduction wisely - improving fitness and diversity? Do you want to unite humanity with a living new language? Adolf Hitler appealled to the we and not to the I, whereas - almost half a millennium before him - Martin Luther appealed to the I and not to the we, The Nazi party ( (NSDAP) was a reaction to and based on a modern political system, wherea the Protestant reformation was a reaction to and based on an ancient religious system (Roman Catholic Church). That is one of the many consequences and probably the peak of the process of the modern individualism. But we should - nevertheless - not overestimate the effects of the Law of Jante (**|**|**). I have visited Scandinavia several times. The Scandinavians are effected by something that could be called Law of Jante, yes, but its effects should not be overestimated, although they minister to a relatively strong uniformity or/and to something like being terrified of losing control, not knowing what to do, dealing with difference, having to be critical with words ... and so on. Some rich people want to kill us all and replace us with machines, but that's not good, even for them, because they'd atrophy, biologically and culturally. Machines doing all the work, and allowing us either to be really hedonistic and materialistic, or really lazy, is a curse, not a blessing. You can have too much of a good thing, everything in moderation, including technology. Then I ask you, Anomaleigh: Do you think that machines will completely replace all human beings? One could also say class of achievement, because in former days the working class was the underclass (lower class) and also called prolelariat (at least by communistic socialists), but this underclass has been changing and calling precariat since the 1990's (at the latest!). Furthermore, you can't kill the working and middle classes, even if you wanted too, there's too many of us, you can reduce our numbers with soft kill, however, which is what they may be doing. The rich are no better than us, perhaps a little more intelligent, but also more decadent. Some rich people want to kill us all and replace us with machines, but that's not good, even for them, because they'd atrophy, biologically and culturally. If a particle is the cluster (gathering) of the noise, and the crowd is - rather (!) - a gathering of people and the human body - rather (!) a gathering of chemicals (in a particular order), then a particle must - rather (!) - be like a human body or like a crowd, whereas the noise must - rather (!) - be like chemicals (in a particular order) or like people. You mean the lumpemproletariat. He used that word for the first time when he had his problems with Max Stirner. Unfortunately, they are currently trying to destroy the whole middle class, so that there will be merely two classes in the relatively near future: (1) upper class and (2) lower class. The number of this lower class will increase more than ever before, and this may lead to the argument that this number must be reduced urgently. 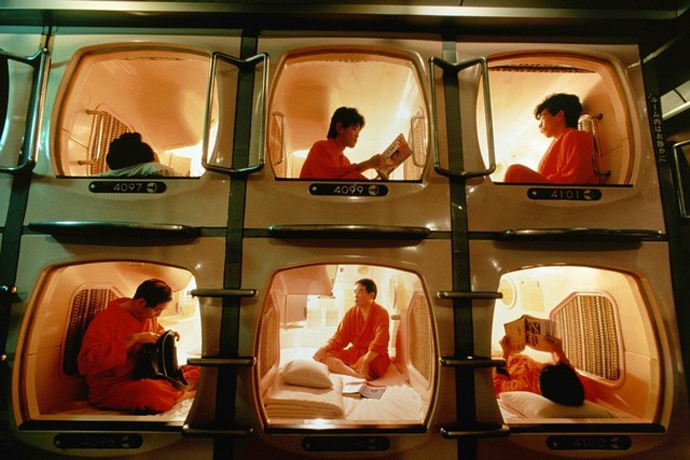 »It's quite elementary everyone, the rich and wealthy will be allowed to keep their twenty acre Mcmansions while the unemployed or poor proles will be herded up like animals in deeply urbanized buildings that resemble a Japanese capsule hotel. Isn't progress grand? »But we should - nevertheless - not overestimate the effects of the Law of Jante. I have visited Scandinavia several times. The Scandinavians are effected by something that could be called Law of Jante, yes, but its effects should not be overestimated, although they minister to a relatively strong uniformity or/and to something like being terrified of losing control, not knowing what to do, dealing with difference, having to be critical with words ... and so on. No. That was because of the child, Pandora. The man did not want the child to see somebody doing something that is dangerous. I would not call it psycholgy! It is only logy (thus without psyche), because the pure logic and the common sense tell us that it leads to a relatively strong uniformity. But whether it really does or not is also a question of experience, observation, empirism. I did not experience much of the Law of Jante when I was in Scandinavia. I merely had much fun there. I do not preserve anything in this case. Ask the Scandinavians. I have nothing to do with the Law of Jante. The Law of Jante is exclusively a Scandinavian phenomenon. Maybe, Pandora, but I do not know that for sure, because the Law of Jante is exclusively a Scandinavian phenomenon, and I am not a Scandinavian. Maybe you should read something about the author of the Law of Jante: Axel Nielsen (18991965), since 1921: Aksel Sandemose. I was talking about my impressions of the Scandinavians, and according to this impressions there was nothing to see what made me saying oh, look how they are effected by the Law of Jante. That is the reason why I am saying that one should not overestimate the effects of the Law of Jante. Why yes to the first (**)?